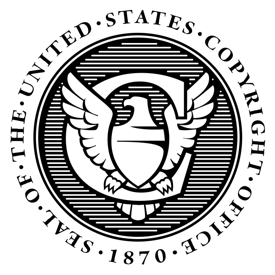 On August 19 2014 the United States Copyright Office issued a public draft the 3rd edition of the Compendium of U.S. Copyright Office Practices. The Compendium is the administrative manual of the Register of Copyrights concerning Title 17 of the United States Code and Chapter 37 of the Code of Federal Regulations. It provides instruction to agency staff regarding their statutory duties and provides expert guidance to copyright applicants, practitioners, scholars, the courts, and members of the general public regarding institutional practices and related principles of law, with a primary focus on the registration of copyright claims, documentation of copyright ownership, and recordation of copyright documents, including assignments and licenses. It describes the wide range of services that the Office provides for searching, accessing, and retrieving information located in its extensive collection of copyright records and the associated fees for these services. The Compendium provides guidance regarding the contents and scope of particular registrations and records. And it seeks to educate applicants about a number of common mistakes, such as providing incorrect, ambiguous, or insufficient information, or making overbroad claims of authorship. The Compendium was first issued in 1967 and revised in 1973. Compendium 1 still applies to all works registered before 1978 when copyright law was updated. The 3rd edition is scheduled to take effect in December 2014.